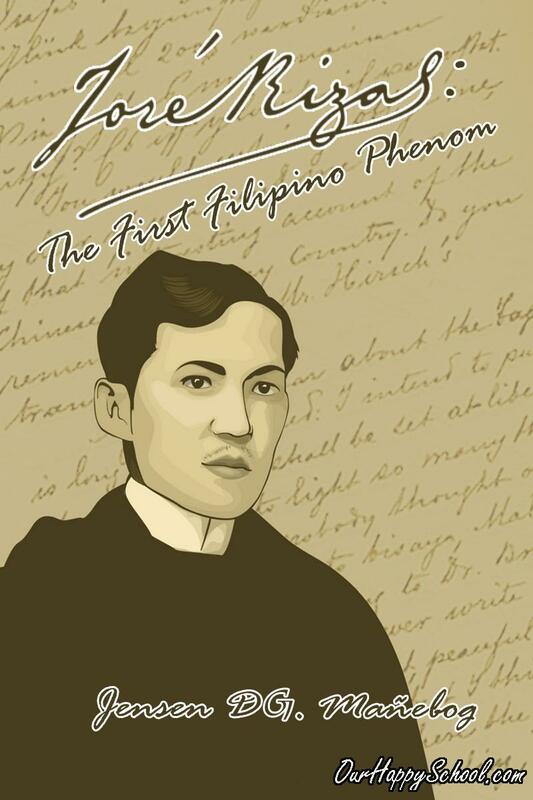 Influenced by Harriet Beecher Stowe's Uncle Tom's Cabin, Jose Rizal planned to publish a book that would reveal the ills of Spanish-colonized Philippine society. Hence, in a meeting of Filipinos in Madrid at the Paterno residence in January 1884, Rizal suggested the creation of the book. The proposal that all of them would contribute papers on the various facets of life in the Philippines was unanimously approved by those present at the reunion, among whom were the Paternos (Pedro, Maximino, and Antonio), Graciano Lopez Jaena, Valentin Ventura, Eduardo de Lete, Evaristo Aguirre, and Julio Llorente. The plan nonetheless did not materialize. “My proposal on the book,” Rizal explained in his letter dated January 2, 1884, “was unanimously approved. But afterwards difficulties and objections were raised which seemed to me rather odd, and a number of gentlemen stood up and refused to discuss the matter any further.” He noticed that his ‘compatriots’ were more interested in writing about women instead and in spending time gambling or flirting with Spanish women. (Interestingly, those Filipinos must have included Rizal’s close friends like Jaena and Ventura). Sensing that it was improbable to count on the support of his companions, Rizal started writing alone the novel in Madrid toward the end of the same year and finished about half of it in the city. Leaving for France in 1885, he had written the third quarter of the novel in Paris. In Wilhelmsfeld, he penned the last few chapters of Noli from April to June, 1886. The novel was completed in Berlin, Germany at the end of 1886 and the final draft was ready for publication at the onset of the year 1887. The transition between 1886 and 1887 was perhaps one of the most stressful parts in Rizal’s life. While painstakingly preparing the final draft of the Noli, he actually had in his heart the fear that it might not be published at all. For how could he have it printed, if for his personal needs alone, he had insufficient money? Rizal would not ask his co-Filipinos in Europe for financial help, especially that none of them supported him in writing the Noli. Thankfully however, a friend from a rich family of San Miguel, Bulacan arrived in Berlin. The ‘paldo’ (loaded with money) Dr. Maximo Viola came to Germany to invite Rizal to accompany him on a Europe tour. But upon learning Rizal’s quandary, the kind Viola decided to delay the tour and insisted on lending Rizal some money so that the Noli could be published. The P300 Viola lent to Rizal was thus used to print the first 2,000 copies of the Noli. Some references state that Noli Me Tangere officially came off the press on March 29, 1887 although records also show that by March 21, Rizal was already sending Blumentritt a copy of the novel. The main character of the Noli Me Tangere, young and wealthy Filipino Crisostomo Ibarra returned to his country after some years of study in Europe. In his honor, Capitan Tiago (Santiago de los Santos) threw a party at his house in Manila. The gathering was attended by renowned local personalities like Padre Damaso, a fat Franciscan priest who had been assigned for many years in Ibarra’s native town (San Diego); Fray Sybila, the young Dominican curate of Binondo; Lieutenant Guevarra of the Guardia Civil; and Doña Victorina, wife of a fake Spanish physician Tiburcio de Espadaña. Crisostomo’s father, Don Rafael Ibarra, was Capitan Tiago’s friend. Capitan Tiago’s supposed daughter, Maria Clara, was Crisostomo’s fiancée. During the party, Padre Damaso belittled Ibarra and rudely tried to harm his reputation. But the gentleman Ibarra simply ignored the friar’s affront. When Ibarra left Capitan Tiago’s house, Lieutenant Guevara talked to him and related the miserable fate of his deceased father in San Diego. Guevara explained that Don Rafael was unfairly accused by San Diego curate of being a heretic and filibuster because of his non-participation in mass and confession. One day, Don Rafael saw a Spanish tax collector and a weak boy fighting. In an attempt to defend the powerless boy, he had accidentally pushed and killed the brutal Spaniard. Don Rafael was thus imprisoned and died in his cell miserably. Initially buried in consecrated ground, his body was removed from the Catholic cemetery under the order of his enemies. The next day, Crisostomo visited his sweetheart, Maria Clara. After the lovely visit to his girlfriend, Ibarra went to San Diego to look for his father’s grave. He had known through the grave-digger that his father’s corpse was dug up by order of the curate to be transferred in the Chinese cemetery. But since it was raining and the corpse was heavy, the grave-digger just threw Don Rafael’s corpse into the river. Angered by what he learned, Ibarra suddenly attacked Padre Salvi when he saw this San Diego parish priest. But Salvi explained to him that it was Damaso who was the town’s parish priest at the time of Don Rafael’s death. When Maria Clara and her family arrived in San Diego, Ibarra gave picnic at the lake. During the picnic, Ibarra had saved the life of Elias—the boatman who was almost killed by a crocodile trapped in the fish cage. Later in the picnic, some members of the Guardia Civil also came, pursuing Elias who had previously assaulted Padre Damaso and the alferez. But Elias had escaped even before the Guardia Civil arrived. Later on, Ibarra received a notice that his donation of a school in San Diego had been approved by the Spanish government. On the day of San Diego town fiesta, Ibarra and Maria Clara attended the morning mass officiated by Padre Salvi and Padre Damaso. During the mass, Elias silently went near Ibarra and notified him of the plot to kill him on the ceremony of the laying of the school’s cornerstone. So during the inauguration, when Ibarra was about to cement the foundation of the schoolhouse, the platform collapsed. Fortunately, the quick Elias had rescued Ibarra and the man who was paid to harm Ibarra was the one killed in the incident. Ibarra hosted a banquet later that day. Padre Damaso who attended the feast publicly attacked the dignity of Ibarra’s dead father. The angered host lunged at the ill-mannered friar and had almost killed Damaso with a knife were it not for Maria Clara who interfered just in time. Ibarra was consequently excommunicated and his engagement with Maria Clara was broken as Damaso persuaded Capitan Tiago to prohibit the lady to marry Ibarra. One day, Ibarra’s enemies engineered a helpless attack on the station of the Guardia Civil, making the attackers believe that Ibarra was the brain of the uprising. After the attack failed, Ibarra was incriminated and arrested. Elias helped Ibarra escape from prison. Before leaving, they discreetly stopped at Capitan Tiago’s house. Maria Clara explained that she was blackmailed by Padre Salvi to surrender Ibarra’s letter (which was used to incriminate him) in exchange for the letters written by her dead mother. From these, she learned that her real father was Padre Damaso. Ibarra and Elias then took off by boat. Instructing Ibarra to lie down, Elias covered him with grass to conceal his presence. As luck would have it, they were spotted by their enemies. Elias, thinking he could outsmart them, jumped into the water. The guards rained shots on him, all the while not knowing that they were aiming at the wrong man. Badly injured, Elias reached the forest where he found the altar boy Basilio who was sobbing over the body of his dead mother, Sisa. His mother had previously lost her mind upon learning that her two sons, altar boys Crispin and Basilio, were missing from the convent. Falsely accused of stealing from the convent, Crispin had been tortured and killed by the wicked and crooked sacristan mayor. Basilio had escaped and the death of his brother had been covered-up by Salvi. The novel’s epilogue narrates that Capitan Tiago became addicted to opium. Padre Damaso was assigned to a far province and was found dead in his bedroom one morning. The sorrowful Maria Clara, believing that Ibarra had been shot dead in the river, entered the nunnery. Padre Salvi left the San Diego parish and became a chaplain of the nunnery. Some infer that Salvi, who had been portrayed as having a hidden desire for Maria Clara, regularly molested her in the nunnery. Consequently, a pretty crazy woman was seen one rainy night at the top of the convent bitterly weeping and cursing the heavens for the fate it has bestowed upon her. The woman was not named but it was assumed that she was none less than Maria Clara. Typically a parody, lampoon, and satire of the Filipino society under the administration of the colonizers, the novel’s characters represent the various kinds of people inhabiting the country at the time. Crisostomo Ibarra, for instance, represents the small group of Filipinos who had a chance to study abroad and dreamt of improving the country. Like Jose Rizal, Ibarra wanted education for Filipino children, hence his plan to construct a public school in San Diego. Damaso, on the other hand, corresponds to wicked but ironically respected priests. His character is a reflection of the then rampant covert fathering of illegitimate children by friars. In the novel, he is revealed to be the biological father of Maria Clara—Ibarra's fiancéewho arguably stands for the powerless Filipina then. Patterned after Leonor Rivera, Rizal's ‘true love,’ Maria Clara’s character also personifies some ideal Filipina—loving and unwavering in their loyalty to their respective spouses. Capitan Tiago represents the rich Filipinos who opted to be allies (as in ‘tuta’) of Spanish officials and friars just to preserve their wealth and political position. Damaso raped Tiago’s wife Pia Alba, but the Capitan seems to be okay with it. Pilosopo Tasio, on the other hand, symbolizes those whose ideas were advanced that other people could not understand him. It is said that Tasio’s character was patterned after Paciano, Jose’s intelligent brother who also sought reforms. Elias—Ibarra’s mysterious friend and supporter—signifies the Filipinos who wished to revolutionize the country by liberating it from Spanish tyranny. Sisa and her sons Crispin and Basilio epitomize a Filipino family oppressed by the Spanish authorities. Doña Victorina represents some ambitious Filipinas who wanted to be classified as Spanish, hence the putting on of heavy make-up. Don Tiburcio, her husband, stands for incompetent and unqualified Spaniards who illegally practiced their supposed profession in the Philippines. Padre Salvi, the curate who secretly harbors lust for Maria Clara, represents the seemingly kind but in fact wicked Spanish friars. Don Rafael Ibarra, Ibarra’s father, epitomizes the rich and at the same time virtuous and generous Filipinos during the Spanish era. Expectedly, the Spanish officials and friars, especially the onion-skinned, were infuriated by the contents of the Noli. Rizal’s friends and compatriots, on the other hand, praised and defended the novel. Non-Filipino defenders of the Noli include Ferdinand Blumentritt, Rizal’s Austrian friend, and Dr. Miguel Morayta, statesman and history professor in Central University of Madrid. Federico Faura, Rizal’s Jesuit professor, told the Noli’s author that “everything in it was the truth,” but also foretold, “You may lose your head for it.” Today, there are streets in Manila which were named after Morayta, Blumentritt, and Faura. (The road ‘Morayta’ was already renamed, but is still more known to many by its old name). Even before Jose went home after the publication of the Noli, his family had been feeling the backlash produced by the novel. Using coded words, Paciano wrote Jose that a “storm” was “threatening Makiling.” “It is only waiting for time,” he added, “It should not surprise those who know that this is time for typhoons” (Bantug, p. 71). Later in history, Paciano would proudly translate the Noli into Tagalog. During Rizal’s first homecoming in 1887, Governor General Emilio Terrero summoned him to the Malacañan Palace a few days after his (Rizal’s) arrival. Terrero told Rizal that Bernardino Nozaleda, the Archbishop of Manila, petitioned to ban the Noli. The governor general asked Rizal for a copy of the Noli and found noting ‘criminal’ in the book. He nonetheless assigned Lt. Jose Taviel de Andrade of the Gurdia Civil to be Rizal’s bodyguard, fearing that Noli attackers would harm the author. Meanwhile, an ad hoc committee of the faculty of the University of Santo Tomas formed at the request of Manila Archbishop Pedro Payo, found and denounced Noli as ecclesiastically heretical, impious, and scandalous and politically unpatriotic, subversive of public order, and harmful to the Spanish government and its administration in the Philippines. The Permanent Commission of Censorship led by Tondo cura Salvador Font similarly found the Noli to contain subversive ideas against the Catholic Church and Spain and thus recommended the absolute prohibition on the importation, reproduction, and circulation of the book. Another attacker of Noli happened to be Rizal’s namesake, Jose Rodriguez, an Augustinian priest who even took great pains to write eight anti-Noli pamphlets which were forcibly sold to church-goers. The arguments outlined in the pamphlets were nonetheless logically addressed by an unexpected defender of the novel, the Filipino theologian and priest, Vicente Garcia. Writing under the penname Justo Desiderio Magalang, the priest countered the claim that Noli’s author was an “ignorant man” by saying that Rizal was a graduate of universities in Spain and was a recipient of scholastic honors. By sound inference, Garcia also answered Rodriguez’ claim that those who read the Noli commit a mortal sin by concluding that he (Rodriguez) therefore committed a mortal sin since he had read the novel. Describing the effects of Noli, the author himself wrote, “My book made a lot of noise; everywhere, I am asked about it. They wanted to anathematize me [‘to excommunicate me’] because of it... I am considered a German spy … a Protestant, a freemason, a sorcerer, a damned soul and evil.” (Rizal was indeed a freemason but, of course, not the rest of the allegations.) In a letter to his friend Pastor Ullmer, Rizal narrated, “… enemies burned my books, friends bought them for as much as fifty pesos. Bookstores profited, but I got nothing.” Noli therefore is a classic case of a black market profiting much from an ‘illegal’ product. The author once received a letter dated February 15, 1888 which was comparable to a death threat. The sender wrote in part, “If you… think you have a grievance, then challenge us and we shall pick up the gauntlet, for we are not cowards like you, which is not to say that a hidden hand will not put an end to your life.” Ironically, the sender did not indicate his real name and just cowardly signed the letter “A Friar”. The furniture set of Dr. Karl Ullmer used by Rizal during his stay in the pastor’s house in Wilhelmsfeld in 1886 is now displayed in the Peacock Garden Resort in Baclayon, Bohol. As the last few chapters of the Noli were written in Ullmer’s pastoral house, some parts of the novel were probably written on the living room furniture. Invite at least three friends (preferably from provinces) to answer your question. Print your question and your friends’ answers. Submit the print out to your professor. TAMA ANG NAGAWA NI DR.JOSE RIZAL NA GUMAMIT NG PLUMA AT PANULAT.NA HINDI GUMAGAMIT NG KARAHASAN .SA PAGGAMIT NYA NITO AY NAGKAROON NG KAALAMAN ANG BAWAT ISA SA ATIN TUNGKOL SA PINAG-GAGAGAWA NG MGA KASTILA AT ANG MGA NAKABASA NITO AY NAIGTING ANG KANILANG MGA DAMDAMIN AT NALINAWAN NA DAPAT NATING GAWIN.